So another year and we can’t believe that our Ayden is seven. I know I say that every year but it just seems like he is growing up too fast. 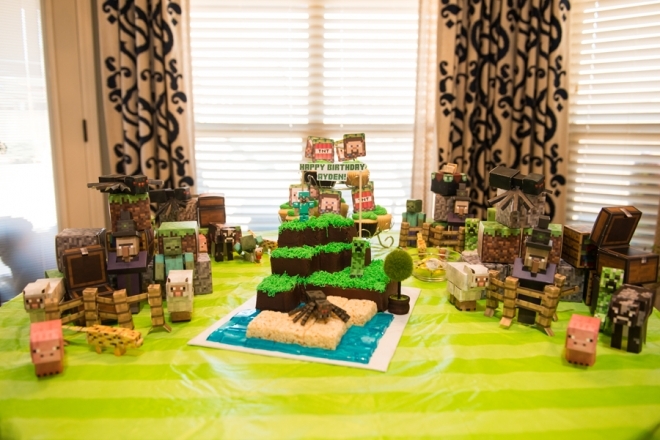 Over the year Ayden has been totally enamored by Minecraft, so naturally he wanted a Minecraft party. 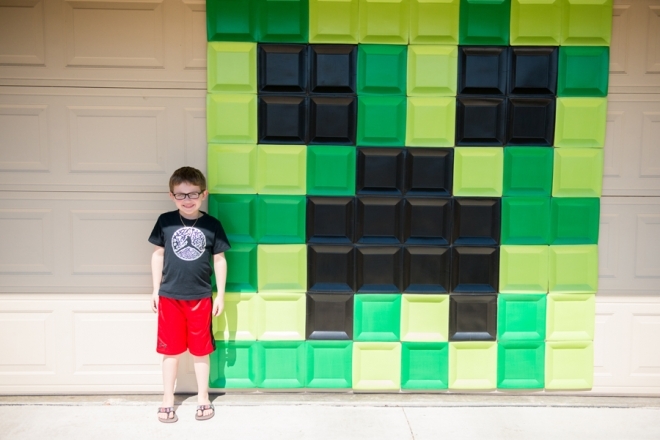 So what better place to have a Minecraft party than at the Clarke house. 🙂 Luckily this year the weather was beautiful and we decided to have back the video game truck from GameON. 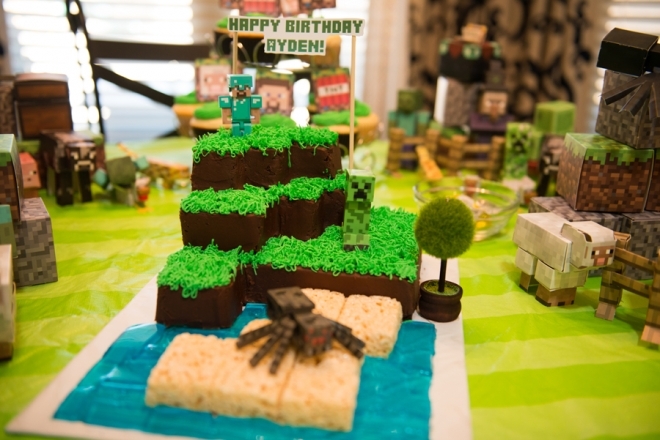 Cari from Royally Iced Cakes did it again and Ayden just loved it…especially the jello water. We had a great time and we’re thankful to all that came as well as helped with the party.